Dental Instruments are tools dental team use such as (Dentists, Dental nurse), to be able to remove teeth, Identify and select for all dental treatments. Today, the dental team (such as a dental nurse) have major challenges in identifying dental instruments and select for dental use. Now, I have put together a practical guide in identifying (dental instruments dental materials) and select for dental use to help our career and boost our moral. 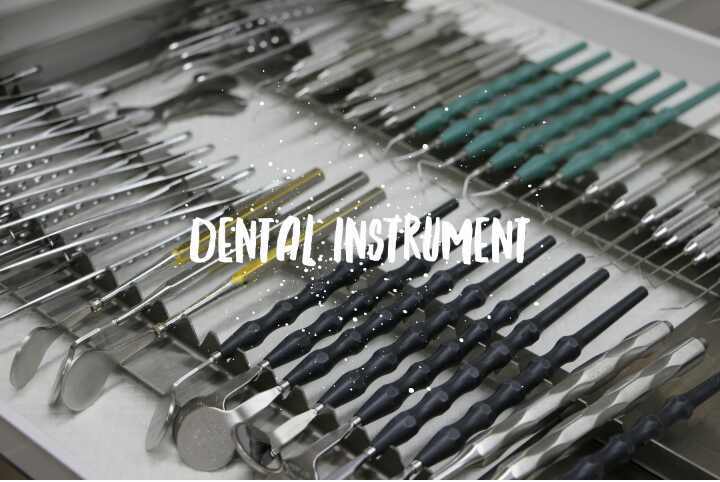 Instrumentation is the familiarization of the dental team such as (Dentists, Dental Nurse, Dental technologist), with the instrument to be able to classify, Identify and select for dental use. 1. Working end: Is a part that is used to carry out the purpose and the function of an instrument. 2. The shank: It his the part of an instrument that connects the working end and the handle.it may be a curve or straight. 3. And handle: The handle is the part that we hold. a. Double ended instrument I.e two working end for example spoon excavator and carver. b. The single-ended instrument, for example, Coupland elevator. c. Corn socket instrument I.e they are separated from the shank instrument and working end and permit instrument exchange or replacement for example mouth mirror, handpieces and bur. 1. Dental probe: it is used to detect the depth of caries. 2. Mouth mirror: it is used to view the patient mouth or for visualization of the patient mouth. 3. College tweezers: For picking cotton wool into the patient mouth or for picking up some instrument. 2. Face mask: For protecting the face. 3. Cotton wool: For cleaning up the saliva, blood and to stop bleeding. Prevention of pain from needles during injections. Prevention of gingival discomfort while taking copper ring impression. Rubber dam: Prevents entry of moisture to a cavity, especially prior to insertion of silicate fillings, and during root canal therapy. Rubber dam clamps: Hold dam on teeth. Rubber dam forceps: Aid placement of clamps on teeth. Rubber dam frame: Holds dam in position around mouth. Saliva injector: This method remove saliva from the floor of the mouth. It could be used in conjunction with a rubber dam, cotton wool, gauze, for just a period of isolation such as teeth. It removes saliva and water from the floor of the mouth; otherwise, the patient would have to be continually swallowing or choking. Bristle Brushes; cup, wheel, Tooth polishing. Removal of decay and surrounding tooth structure. Burs, finishing: To smooth the junction between enamel and filling, ensuring that no rough edges remain to hold food particles against the tooth. Matrix bands: Allow amalgam to be packed into cavities that are open on one side. It would otherwise fall out. Elevators: Is the removal of roots and teeth by rotating the point against root. Elevators, periosteal: Reflection of flaps during apicectomy and subperiosteal curettage. Forceps, pocket marking: Indicating amount of tissue to be removed during gingivectomy. Lower molar forceps: This has two beaks, facing each other and faced downward. Uses: This is used to extract right or left lower molar teeth. The extraction of upper molar forceps: There are two types of upper molar forceps; Right upper, left upper. Upper right molar forceps: The beak part faces my right hand and the mouth of the instrument faces upward. Uses: it is used for extraction of right upper molar teeth. Upper left molar forceps: The beak part faces my left hand and the mouth also faces upwardly. Uses: used for extraction of left upper molar teeth. Lower anterior forceps: This has a somehow flat head making both mouths facing downward. Uses: For the extraction of lower anterior teeth. Lower premolar forceps: This has a puff ( semi circled ) head, with the mouth facing down. Uses: used for extraction of lower premolar teeth. This is made of silver and plastic. It has both upper and lower. Impression tray: is used when there is a need for denture I.e when patient loses one or more teeth. Artery forceps: To sit elastic modules. Elastic separator: To separate a contact point. Safe distal end wire cutter: Use for cutting wire. Band pusher: To sit the band. Adams plier: To band wire inside the mouth. Bracket holder: To grip bracket inside the mouth. Cheek retractor: To retract or expand. Every effort as been made to ensure dental professionals are provided a theoretical background upon which the dental team can base their practical work on. However, no website can take the place of practical experience, and no attempt as been made to give detailed advice on those aspects of work which can best be learned by practical demonstration.